There were many signs about avoiding manatees with your boat in Florida. 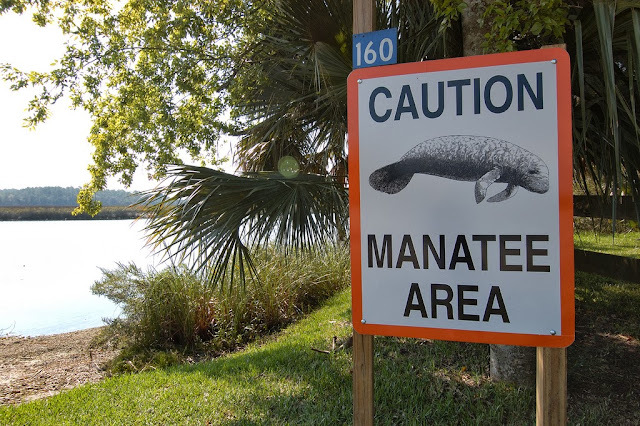 We still haven't seen a manatee so my dad had me do this school project so everyone could learn a little more about manatees. These graceful aquatic creatures are actually relatives of the elephant. It makes sense given that they have a similar skin tone and can grow to be quite large. They are usually about 2.8 to three meters long. And weighing in at 440 to 550 kilograms, you can thank goodness that these guys are herbivores. 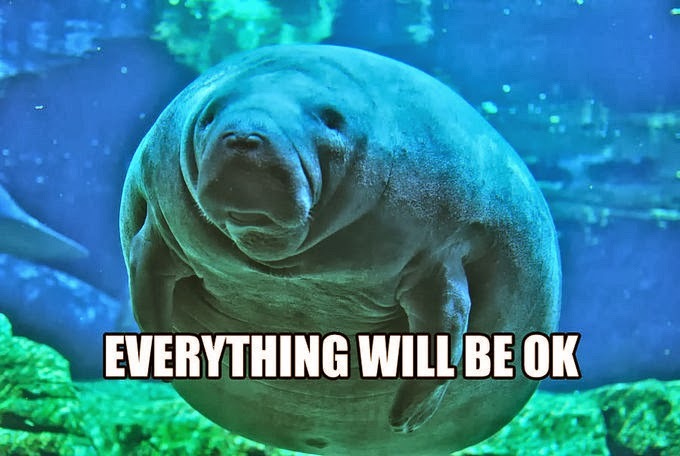 Although that’s what most manatees are sized at, some put on a few extra pounds. These manatees can grow to 3.6 meters and 1775 kilograms! 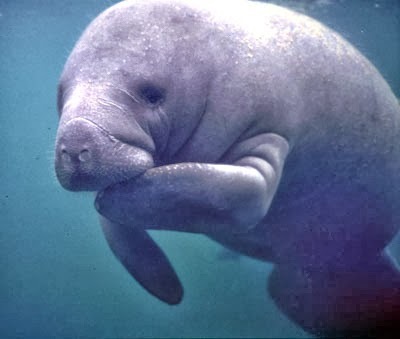 The manatees genus is Trichechus (Tri-check-us) and there are three species of manatee. The West Indian manatee (Trichechus manatus), The Amazonian manatee (Trichechus inunguis) and the West African manatee (Trichechus senegalensis). These live in the Caribbean sea, the gulf of Mexico, the Amazonian basin, and West Africa. The manatees inhabit estuaries, rivers, bays and shallows. They actually range as far as the state of Georgia but they can go no further because of the cold. Manatees live up to sixty years and spend that time eating and sleeping. They will eat just about any kind of flora that can be found in their habitats. They usually eat about 50 kg a day. I thought they were herbivores!!!!! 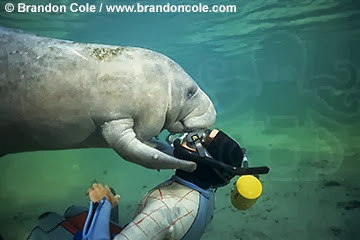 In manatee breeding season (about every two years) manatees get pregnant and stay that way for up to a year. It takes over another year before the calf will leave it’s mother. Only one calf is born a year. Unfortunately these awesome and adorable sea cows are in trouble. Because of their slow sea bed potato nature they tend to get hit by boats. A lot. In fact they are often recognized by biologists because of their scars. And for those manatees who get hit by tankers… they get cut in half. So let this be a lesson to you. Don’t drive boats. And be fast enough to avoid them. Those suckers are dangerous. Manatee fun fact: Manatees are the state animal of Florida. Day One of Double Fun! Back from our break - exhausted.